I decided to give smartwatches a try again, but it was after I had worn Samsung’s Galaxy Watch Active at an event. I was excited by the 40mm size of the watch, and its silicone band looked just as stylish and as comfortable as the ones my friends had on their Apple Watches. Eventually, I bought one, and I’ve been wearing the device for over a month now. Wearing it has been an absolute delight, and I'm pleased with its power-saving features. However, once I delved past the features that Samsung touted when it first introduced the smartwatch, I started to hit some walls. The Galaxy Apps store is limited in its offerings, and it's missing some key integrations. While I enjoy wearing it out and during workouts, and it's doing the job I'd purchased it to do, I find myself wishing that Samsung and Google would become partners again in the wearables space. Samsung’s hardware is some of the best in the business, but it doesn't have the apps and services that have long made Google a major hit, making it seem fragmented compared to the rest of the Android ecosystem. 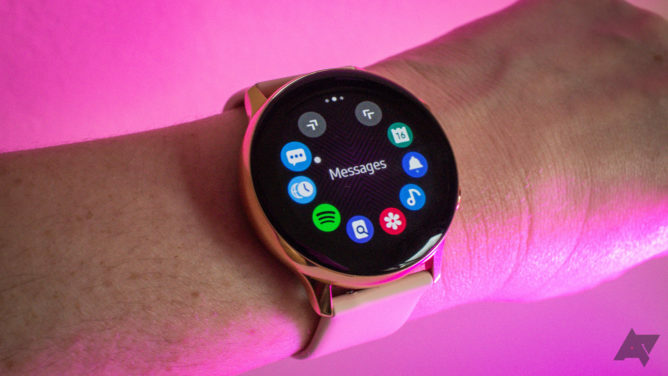 Rather than continue to venture on with its wearable platform, Samsung should do what it does with its Android phones; it should continue to make beautiful and functional smartwatches that people want to buy, and let Google come in and handle some of the magic. A majority of the apps I have installed on the Galaxy Watch Active are by Samsung. I’m not a big advocate of stuffing watches with apps and services, but it would be nice to at least have the option to do so in the Galaxy Apps store. I’m using the Watch Active with my Pixel 3. It pairs through the Samsung Gear app for Android, and from another tab, you can access the Galaxy Apps store. The teaser screen inside the Gear app makes it seem like you have the pick of the litter for your favorite mechanical watch face. But once you launch the store and start typing in the name of the app you want, things start to look grim. 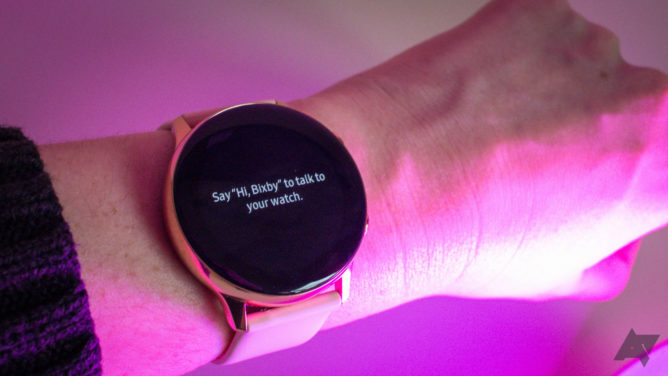 If you're searching for apps that make sense on a watch, like Lyft or Venmo, you'll get zero results. Don't bet on smart home apps, either, as there is no official Nest or Philips Hue app. Even when an app does look worthy, it’s often mired in bad reviews. I was excited to see Strava featured in the store since it’s what my buddies and I use to track each other, but I was hesitant when I saw that it only had an average review in the Galaxy Apps store. I ended up throwing caution to the wind and downloading it, and though it works fine when I sync data through it, I'm constantly waiting for the other shoe to drop. Other well-known apps, like Endomondo and Sleep as Android, also show tepid reviews, and negative marks mire even Samsung's SmartThings app and the once-exclusive Tizen-optimized Uber app. Some features that come standard with both Android and Wear OS are also harder to come by in the Galaxy Apps store. It took me a while to find a Google Maps-compatible app for the Watch Active that supported turn-by-turn directions, and I ended up paying a few bucks for an app to get the job done because it had good reviews. I’m a huge proponent of supporting developers whenever you can, but I found it strange that I had to pay for a feature that’s long been free as a part of the Android experience on my phone. Having the Google Play Store available would at least make onboarding apps to the Galaxy Watch Active much less harrowing. Not only would there be more reviews under each app, but you’d also have access to more publishers and independent developers. Samsung may spend a lot of money courting app makers every year around the time of its developer's conference, but it's not enough. The Google Assistant would also come in handy here, as it could help fill in some of the holes left by the Galaxy Apps store. You'd have access to all the integrations you've already programmed with the Google Assistant—things like turning off the lights, sending a message, and checking up on your flight status. At the very least, it would afford access to some of the Google Assistant's very basic, but helpful, commands. Samsung may have the app you want but with ratings that don't inspire confidence. One particular thing that attracted me to the Galaxy Watch Active was its bevy of health-centric features. It’s rated up to 5 ATM for water resistance, so I can take it into the pool with me to track laps. The watch is also capable of tracking my hikes in standalone mode with its built-in GPS, and I can get up-the-minute stress readouts as I need them with help from the built-in heart rate monitor (which is much more stress-inducing than I’d thought, but I digress). Despite all the things it can track, it’s hard to take advantage of that data outside of Samsung Health. You do have to download the Android app to your device to get the full readout from the Watch Active. That part wouldn't be so annoying if it weren't for the fact that there’s no way to link that data with Google Fit, where I’ve been aggregating data for years. 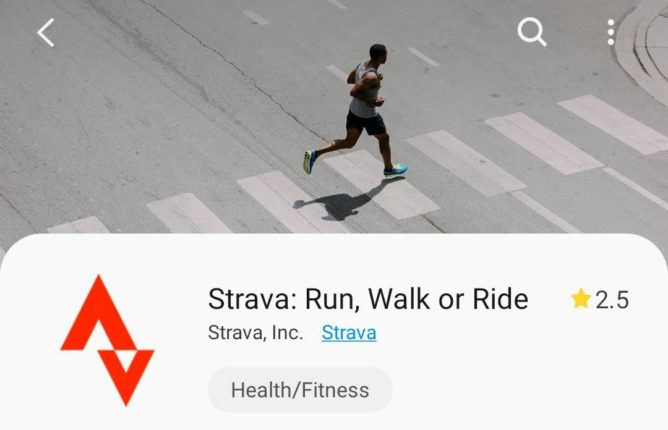 I developed a weird runaround wherein I’d use Strava for my workouts so that at least both Google Fit and Samsung Health got the same data, but it never synced up quite right. Eventually, someone on Twitter tipped me to Health Sync, which you can use to sync stats between Google Fit and Samsung Health. It’s helped solve some of my fitness tracking issues with the Watch Active, though I’m still cycling between two different fitness apps to collect data. My life would be much easier if I merely had Google Fit integration baked directly into the watch—I'd even take it through the Samsung Health app. Anything to keep my non-Samsung branded phone on par with the numbers recorded by my Galaxy Watch Active. Bixby works, but it's nothing like the Google Assistant. I know, I know—Samsung’s already got Bixby, but tell me, what has Bixby done for you lately? For me, very little. It can do some things, like send messages and call up a calendar item when I need it, but beyond that, it’s been pretty limited—especially when compared to the Google Assistant. The scope of commands that I can make to Bixby are helpful in a bind, but nothing like the constant interaction I have with Google. And as I mentioned earlier, it would help mitigate the fact that there’s a severe lack of apps. I paid for an app to turn my Hue lights on and off. That’s it! That’s all the app does. 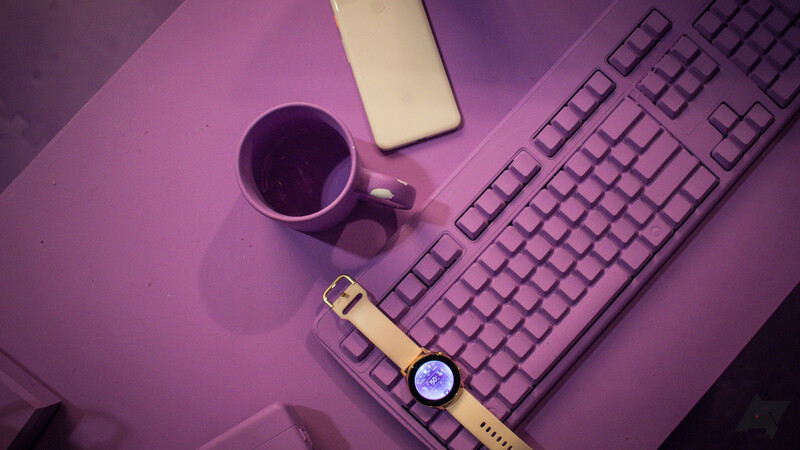 Conversely, if I had the Assistant on the watch, I could call up the Hue link to turn everything off, without bothering with setup beforehand, or installing an app for one particular duty. I appreciate what Samsung has done with the Galaxy Watch Active. It’s snappy and easy to use, has a ton of fitness-tracking prowess, and even the UI feels a little more refined than some parts of Wear OS. But its lack of Google integrations makes it feel less like a watch made for all Android users, regardless if they're using a Samsung device or not. The least that Samsung could do is figure out a way to run the Google Assistant atop its Tizen-based OS, the same way it allows it on its smart TVs. Because without it, Samsung's smartwatches will continue to feel like an off-brand Android wearable.